The style of bodywork that we practice incorporates time honored holistic healing modalities, both intuitive and traditional therapeutic touch. Integrative massage can include energy balancing, guided imagery, breathwork, sound therapy, lymphatic facilitation, deep tissue or myofacial release, hydrotherapy, and Swedish massage. Benefits range from increased circulation, range of motion, clarity, and vitality, to activation of body systems, stress relief, and deep relaxation. Skywater Healing Arts Studio are professional-quality hypo-allergenic, made with wild-crafted organic extracts exclusively designed to offer the ultimate in skincare, while restoring vitality and well-being with every treatment. 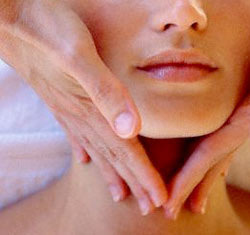 Reiki is a very simple yet powerful healing art. Pronounced "rAy kEy, it is simply the laying on of hands. Reiki does not use massage or tissue manipulation, yet produces beneficial effects by strengthening and normalizing certain vital energy fields within the body. 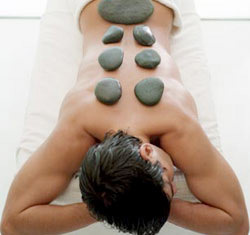 If you are experiencing mental or physical stress, hot stone massage can be extremely effective. The moist penetrating heat of the stones elicits a deep relaxation almost immediately. Muscle tension eases under the smooth pressure of the stones, allowing increased circulation and soothing of the nervous system. As a result, toxins are flushed away, and the flow of healing nutrients is restored to muscles in the surrounding tissues, aiding in the release of pain and stress relief. A fascinating healing art involving the study and interpretation of behavior, in terms of simple and complex reflexes. Massage of the feet and hands based on the belief that pressure applied to specific points on these extremities benefits corresponding parts of the body. Have you ever walked into a room and, for seemingly no apparent reason, felt uncomfortable, awkward, or just plain creeped-out? 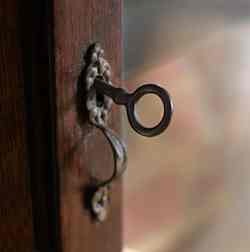 This is due to the residual energetic imprints that exist in that room, home, or business. A Property Energy Clearing can shift the energy to make your property or business warm and inviting by creating a positive resonance that you can immediately feel.